Day 97: Great Effort, Great Reward! We both slept really great in the colder weather and were happy to sleep in, not wanting to leave the warmth of our sleeping bags. As we packed up it was 36F/2.2C. We got going at 7:35am down canyon crossing the Timaru River countless times on simple fords. 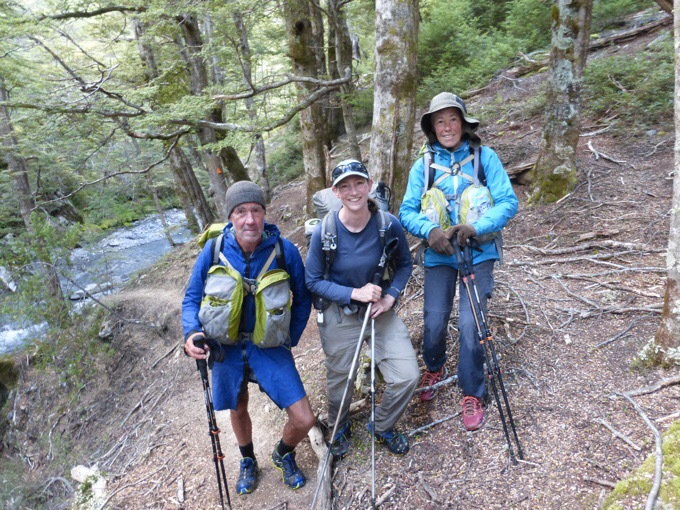 Early on, we crossed paths with Alison and Lindsey, southbounders who had met my friend Why Not while she was in New Zealand, and are now doing the full TA after her encouragement. I love this hiking world! The temperature stayed pretty cool, but somehow the crossings were not affecting my feet as much as they have in the past. They were not blocks of ice and I think that is because between each crossing we had short steep ups and downs on angled sidling that were requiring more exertion and keeping me warm. After a couple hours of that, we had the steep climb up to Stodys Hut. I didn’t track the time, but it was over an hour of pretty straight up climbing. Last year, Why Not mentioned it being brutal with heat and brush. It seems that it has been maintained since last year, and we were fortunate to not contend with any brush. It was a leg burner for sure and I was glad that we were doing it in such cool temperatures on a nice day. 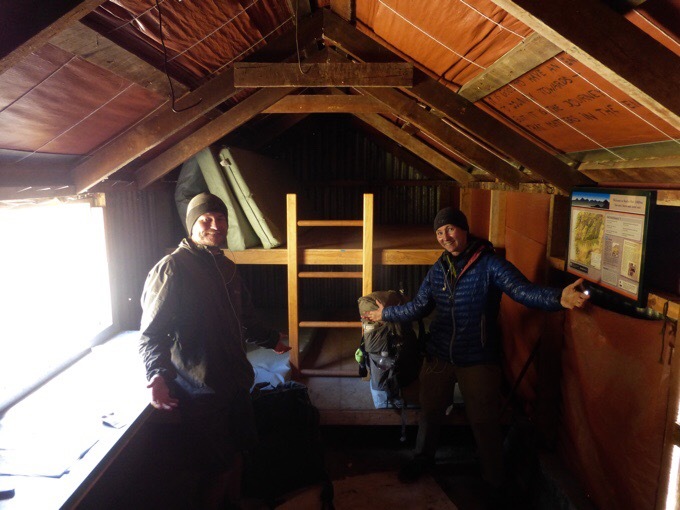 We made it up to the hut around 11:45am and decided to have lunch there because it was warmer in the hut and there was a long water carry after. It was a great choice, and it was nice to have lunch somewhere warmer. 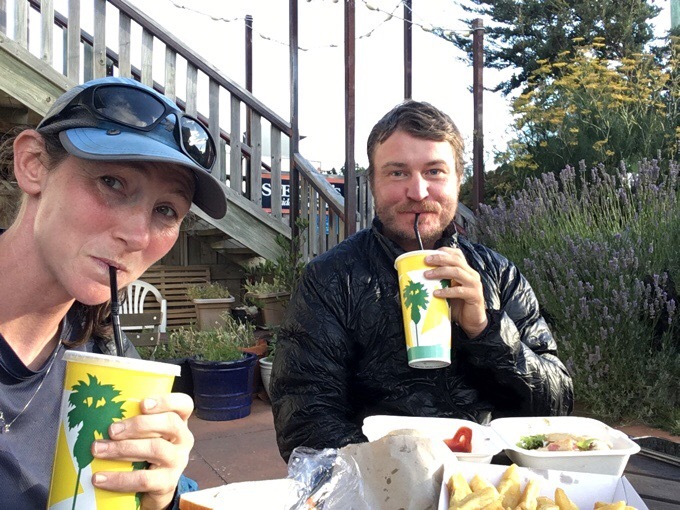 Since we knew this was a shorter day, we felt no rush and took a lot of time for a longer lunch. 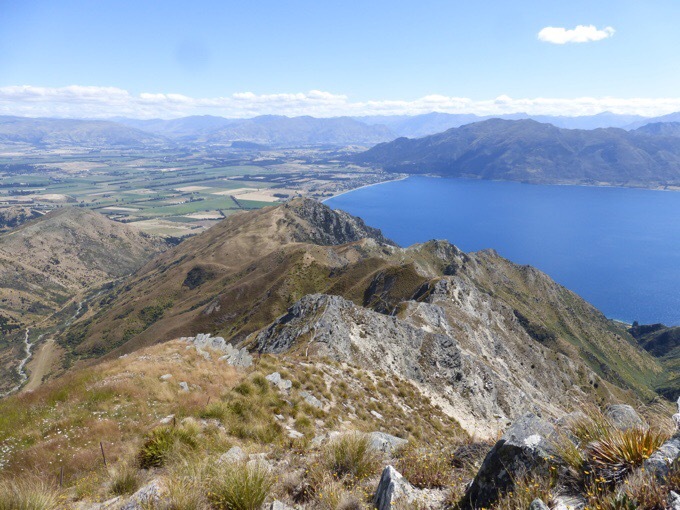 We looked over options for sidetrips from Wanaka, which we will reach tomorrow. 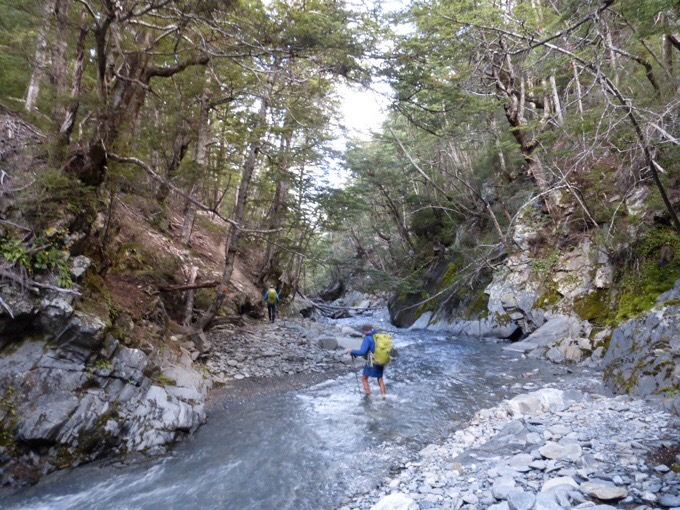 Mt Aspiring National Park is close to Wanaka and there are many options there for side trips. I had loaded many things to my phone, so we spent a lot of time going through them. 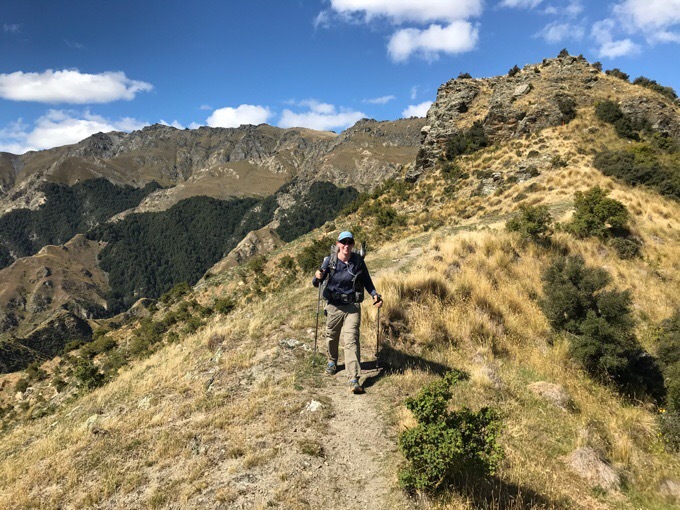 We were excited that it looked like we had figured out a good side trip that would be perfect to do and then to get back on the trail to walk into Queenstown in time for Becky’s birthday bash in about a week. The only caveat was the weather, but we didn’t have service yet and moved on to hike up to Breast Hill, our high point for the day where we knew that we would get phone service. 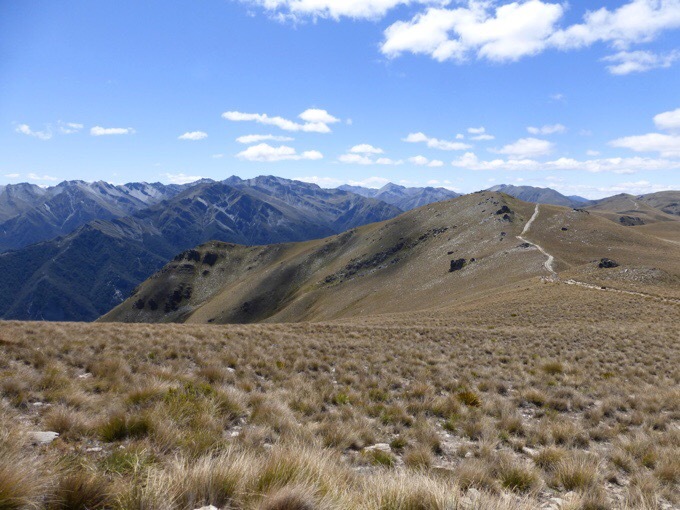 The rest of the hike up to Breast Hill was quite easy going on a four-wheel-drive road. Views were great, and it was still cool outside, but there was little wind, so it was quite perfect. 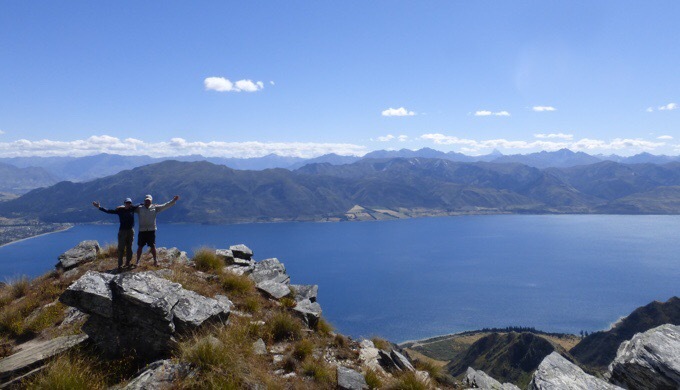 Once we got service I tried to book lodging for tomorrow in Wanaka. This is a very popular destination, and the launching point for many things, so it fills up fast. We weren’t sure how long this leg would take so we didn’t book sooner. All the hostels were booked, so we took the next best option of a motel. 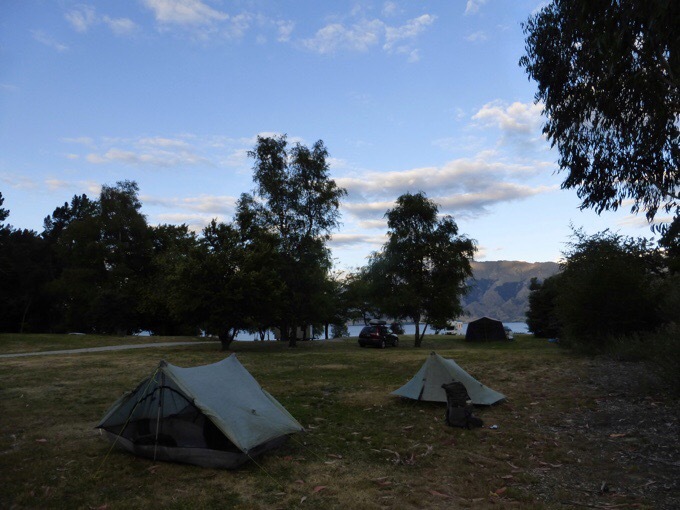 It seems to be a pattern for the S Island lodging to fill up (Hanmer Springs, here, and Queenstown specifically), so just a heads up for people to book early if they can. 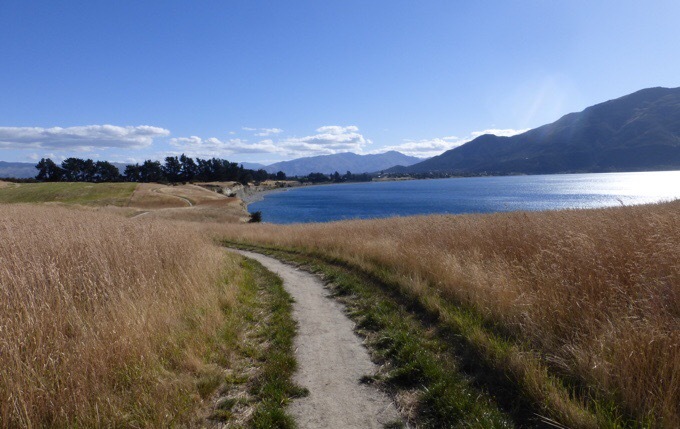 We also checked weather to find that it will not be good for doing side trips we hope to do from Wanaka. That is a bummer because it would’ve perfectly fit for timing, but there are still many options. 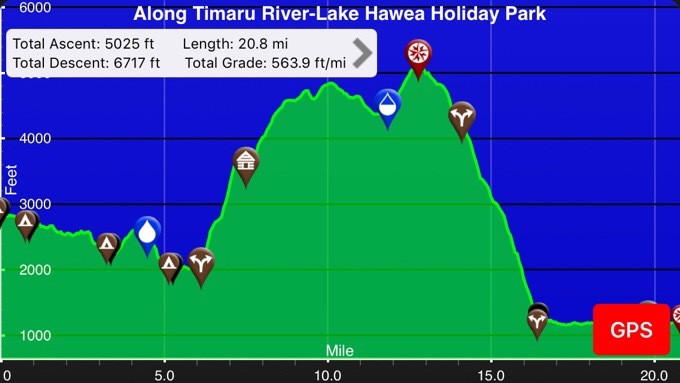 We are going to continue to Queenstown and see how the weather changes in the next few days for the sidetrips. 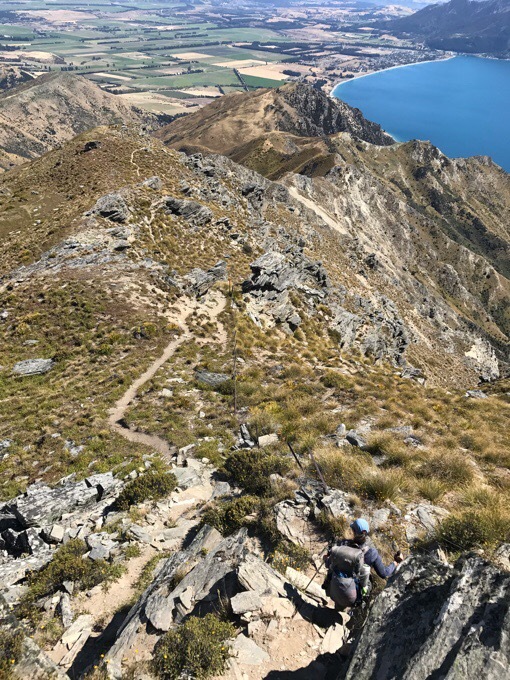 Basically, once I get to Queenstown, I will be maybe 10 days ahead of Becky and Tom, so I will base out of there and do my side trips until they catch up as I planned. 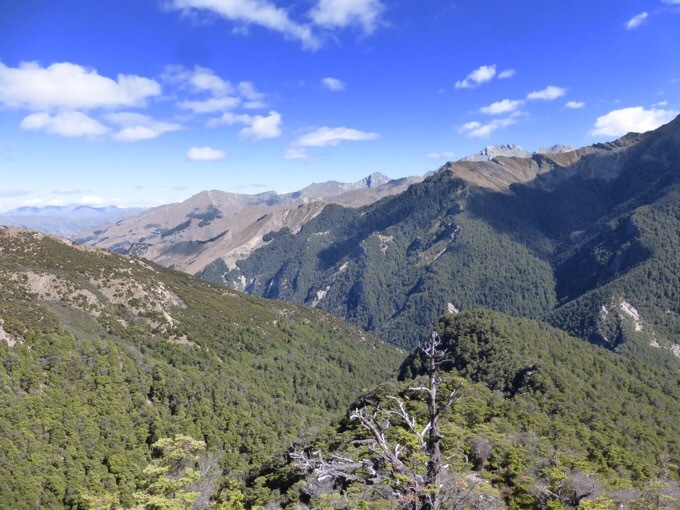 Though, in the middle of that is Becky’s birthday and they will jump down to Queenstown for that and jump back, so it’s a bit of a wrench in doing one long trip, but there are so many short ones that I think will work out. I also need a zero or two to figure out logistics for Tasmania, and book final flights for everything. I know one thing for sure. I will wait for Becky and Tom to catch up to Queenstown so we can do the last two weeks together, and there are plenty ways to fill that time. I’ve been fortunate that I have yet to need to take a zero all trail from weather. That seems to never happen on a TA hike, so I’m definitely not going to feel antsy about waiting for weather windows if I need to. Back to today, the hiking was so awesome. 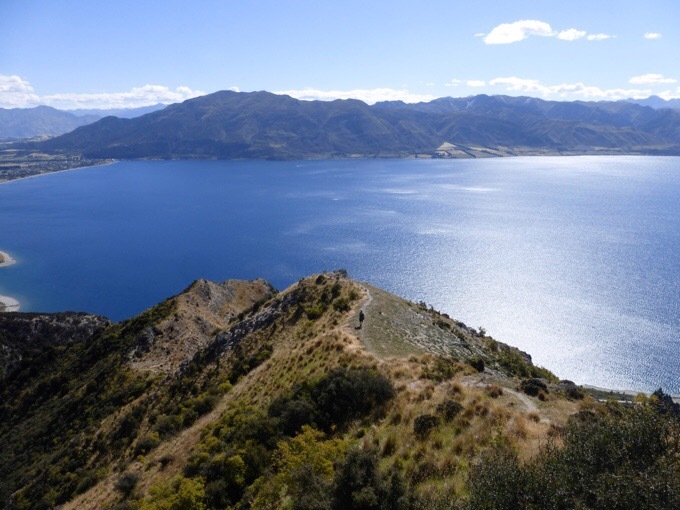 Once we were at the top of Breast Hill we could look down on a great view of Lake Hawea. 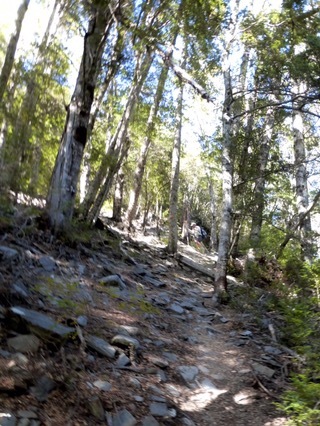 It was a crazy steep downhill on jagged mountains to get down to the lake. It was really cool, but the drop was insanely long and my legs were complete jello by the end. Man, what a day with elevation! We couldn’t stop taking photos looking over the lake and capturing how steep the trail was. The day took longer than expected with our extended pitstops and mini photo ops. Today felt more like a day hike with how often we were stopping and taking pictures. I didn’t even look at the time all day, so I was surprised when we got to the bottom of the descent and it was already 5:30pm. We had still quite a bit to walk into town and realized it was going to be around 8pm by the time we got to the Holiday Park. I tend to get cranky after 7 PM, but today was different and I knew tomorrow would be easy, so it was fun to just walk into town and then stop at a cafe for dinner. We got settled at the Holiday Park by 8:30pm and it was a great day. Yet another one! We feel so lucky to have gotten a stretch of what feels like countless days after so much rain on this whole trail. 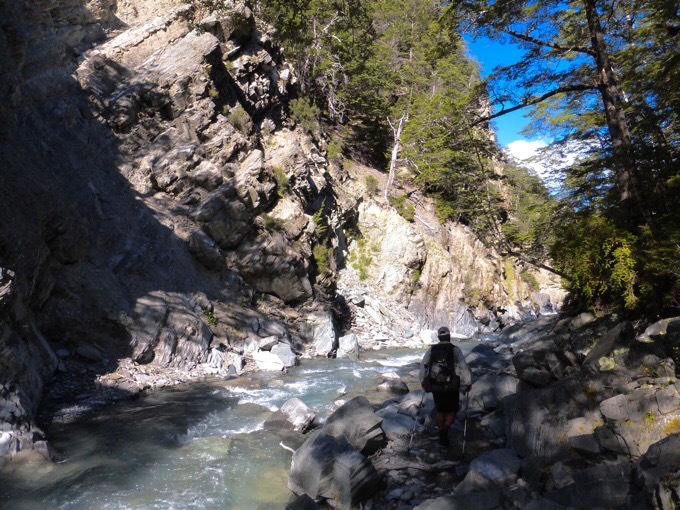 We feel like we’ve been hiking in the US with how great it has been with the trail, scenery, tread, and weather. It’s just been great! Although today took longer and was more strenuous than expected, we really liked it and it was one of my favorite days. I love it when the effort meets the reward and that was true today with a lot of effort and even more reward. We both were so done by the end of the day, that we didn’t even take advantage of the showers at the Holiday Park knowing that we will be in town tomorrow. 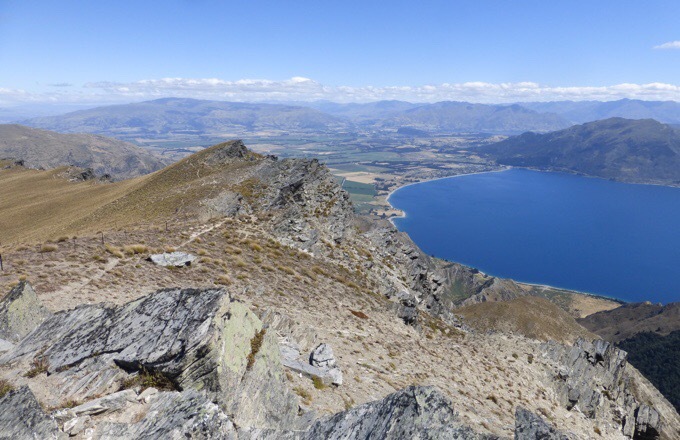 Tomorrow will be about a half a day of hiking into Wanaka on a cruisey trail. We are looking forward to some time off our feet for the second half of the day before we set off to Queenstown. Pretty darn happy camper here! Debbie and I will be traveling to NZ next week. 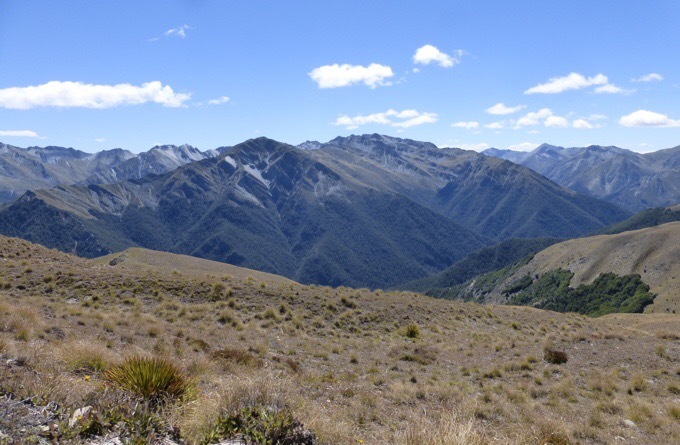 Our travels will put us in Te Anau on Mar 2,3, and 4th. Can we meet You somewhere? After Te Anau we will drive to Dunedin in the rental car. I will gladly do a detour to see You. Many people in Colo. are following Your travels. I thought it was interesting when you said the trails and weather recently have been just like the US. 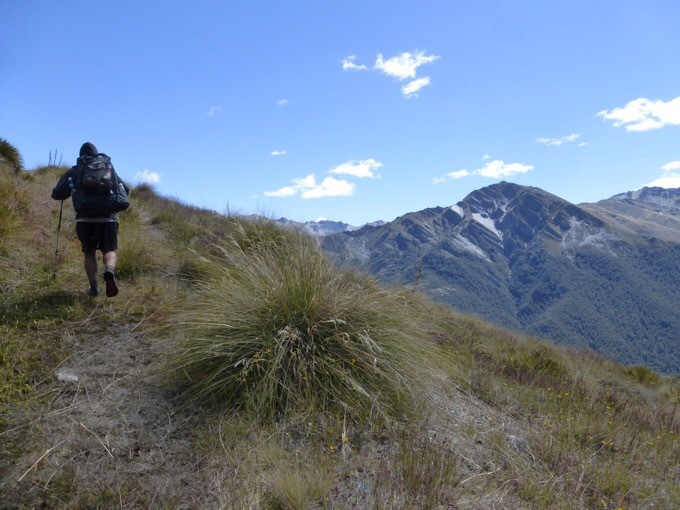 I’ve often wondered what drives us to go across country or across the world to go hiking. I find myself getting excited about going to this place or that, then I think, what makes that so much better than the Sierra or even closer to home the Trinity Alps. There are exceptions of course. What about New Zealand sets it apart? Good question! There’s an allure to it I think, but honestly feel that it’s overhyped and we really do have it great in the US. 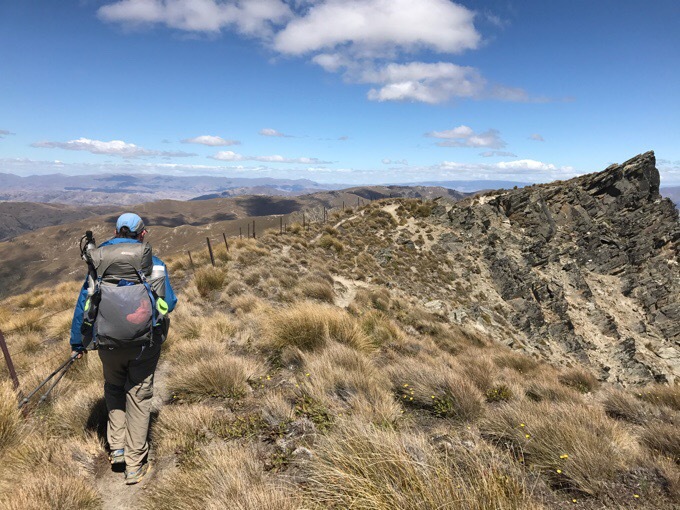 I’ve been doing trails in order of appeal and attraction and was drawn to it as there are few options left for hiking a full country over many months. It has fallen flat for me and is quite nice, but on the scale of effort vs reward, there’s an imbalance with the effort being quite higher than the reward in my opinion. “I know one thing for sure. 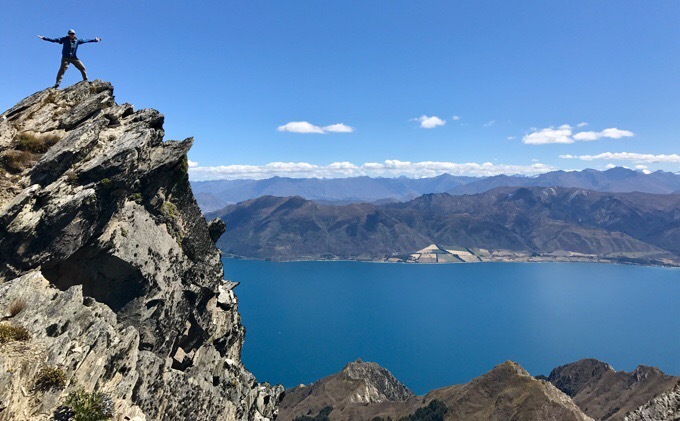 I will wait for Becky and Tom to catch up to Queenstown so we can do the last two weeks together, and there are plenty ways to fill that time.” Loved reading that. I’m sure Becky will be so blessed, never-mind the fact you will be too!! What a “perfect” day…glad you took longer to take all the pictures! Have to second the “perfect day” description..
adjust the other to match? 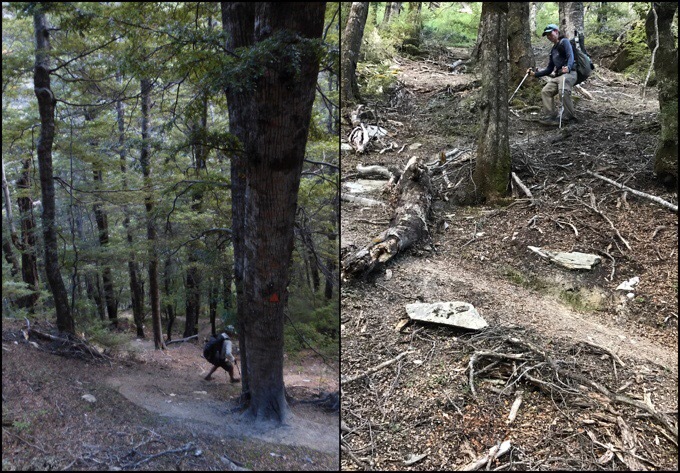 or, since you mentioned sidling and of course some trails slant to the left or the right, would you use the shorter pole on the uphill side? Sorry, my mind overworks at times on details. So cool that you met that couple who were inspired by Why Not.. I think that hiker world ? is one reason people do travel to hike. You meet people who know people you know, maybe they travel to the U.S. in time, Or like E.. you get to see their place before they return to Colorado.. They meet Griggs, who I think lives in Colorado, at least sometimes. Now yow will have another hiking friend in Colorado, maybe they will come west to hike, where you and Why Not and Rockin are soread out. Becky and Tom meet far from home.. Felix goes back to Germany, but so will Becky in time. Now you have good hiking friends in Germany. You are right, there is a lot of sidling, so I just switch the shorter one to the hillside. 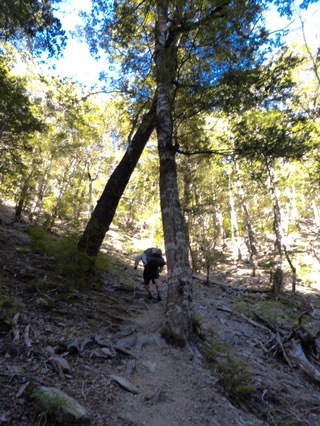 It’s sufficient enough for downhills and the other pole is used more dominantly. It’s a good length for the steep uphills when I do shorten them. As for the hiker world, having Facebook has helped a ton to keep track of everyone as we are all such travelers. It’s quite inspiring and also makes the world feel so much smaller knowing so many in different countries. 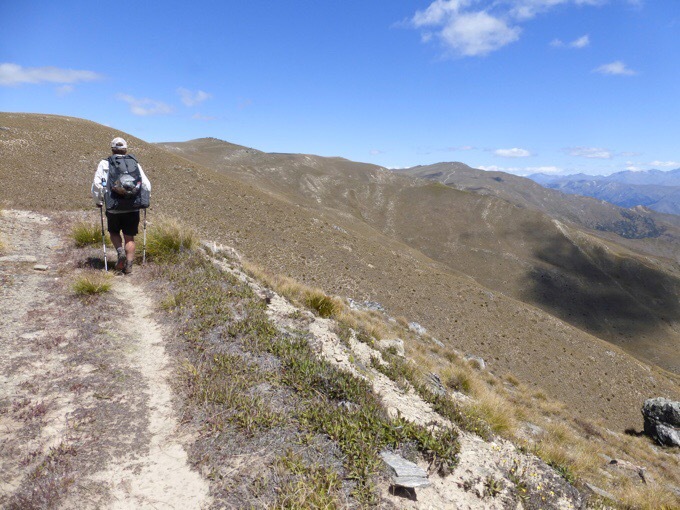 We just did Cascade Saddle and Dart trail via wanaka and got to glenorchy that way. Great 2 or 3 day sidetrip. Cascade Saddle is cool and getting really close to the Dart glacier is pretty spectacular! Haha, I just saw your photos on Insta and messaged you about it. Looking to do it next week. You all just made that open window for weather! Message me back on Insta!